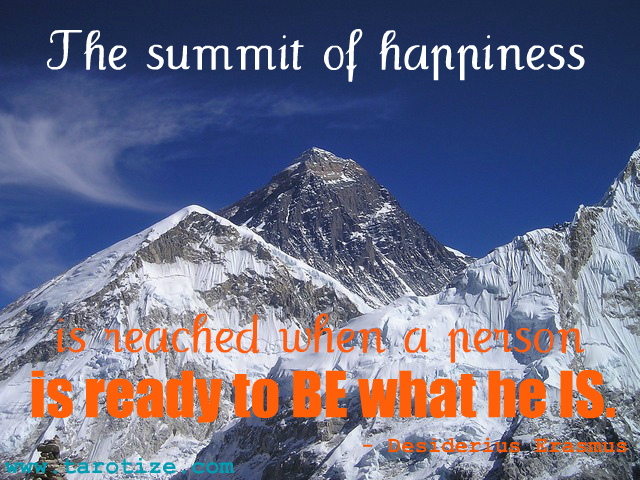 The quote below inspired the spread I created this morning for reflection and personal development. Desiderius Erasmus’s words spoken half a millennium ago made me ask “How do we become ready to be what we are?” There is no better tool for answering this question than the Tarot which holds the key to all aspects of self as well as to the soul alchemy process of becoming that which we truly are and freeing ourselves from self-imposed limitations. Before laying the cards out according to the layout in the spread below, feel free to choose a significator for yourself. I would use my soul card, The Empress, but you may prefer to go with the Court Card corresponding with your Sun Sign. 1. How free is my soul? Place this card on top of your significator if you have chosen to work with one. 2. Mirror – An aspect of self mirrored back to me by others that is influencing my ability to be true to myself at this moment. 3. Self-talk – How my self-talk is affecting my ability to be true to myself. 4. Soul Alchemy – A healing aspect/influence that I can access right now to help me heal that which needs healing. 5. Shadow – What I am trying to hide from myself out of shame or fear. This could be something I project onto others, either in a negative or positive way. The latter is known as a ‘golden shadow’ which signifies fear of success. 6. Leave behind – Something I need to let go of in order to free myself. 7. Love this! – An aspect of Self that I need to embrace and nurture right now. 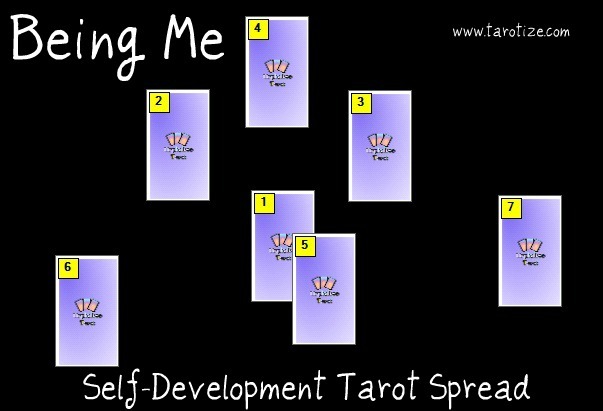 Check out my other Tarot spreads for personal and spiritual development HERE.